This very cool round neck t-shirt is just made for the warm weather. 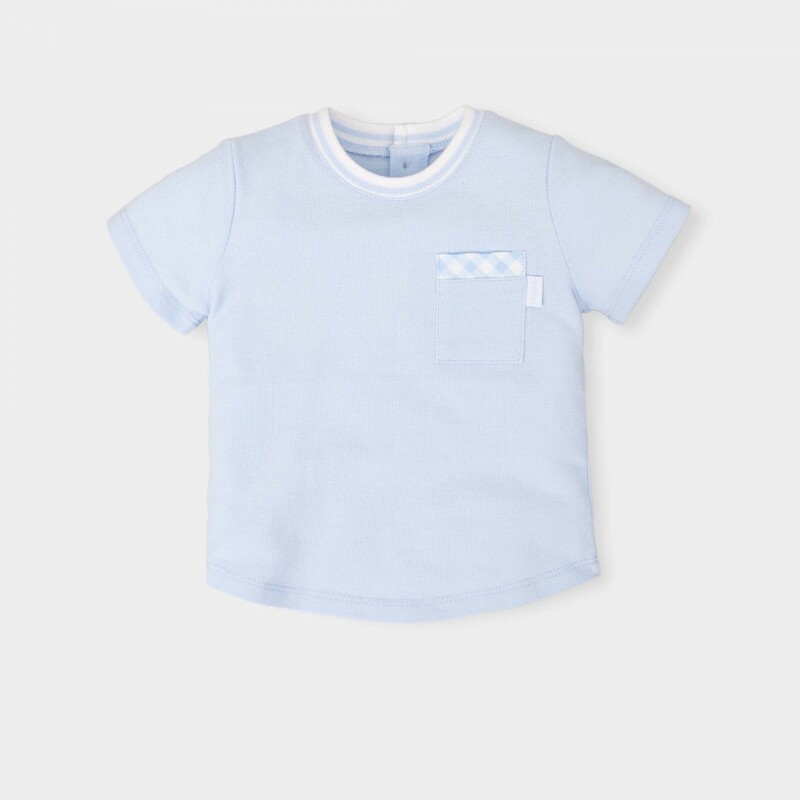 In a beautiful soft blue, it’s lightweight, and very easy to wear - and with lovely contrast details at the neck and sleeves, it’s going to have him looking incredible all summer long. The exceptionally soft material and simple but stylish design makes it a piece that he'll love wearing. It's a shirt you can layer for the cool evenings or wear it as a lightweight piece for those lazy summer days. It's a great choice for any occasion - it's one of those shirts you can easily dress up or down.